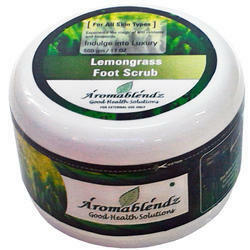 Offering you a complete choice of products which include aromablendz lemon grass foot scrub, aromablendz marine salt exfoliating foot scrub and aromablendz exfoliating lavender foot scrub. Use & Benefits: This intense exfoliating action of the Persian walnut shell granules with soothing properties of lavender leaves the feet soft & smooth by removing callused & rough skin. Application: Add a little water to improve the effect of the surfactant & massage gently in circular motion for 5 to 7 minutes. Rinse with warm water. Ingredients: Light Mineral Oil, Aqua, Sodium Chloride, Lavandula Angustifolia, Glycerine, Preservatives, Granulated Persian Walnut Shell & Excipients. Cautions: For external use only. Keep out of reach of children. Discontinue use if skin irritation occurs. Application: Removes dead cells, dust and grim discouraging blackheads and backacne. 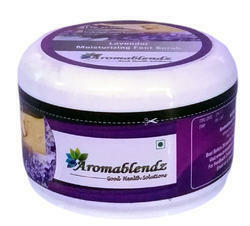 Have a soothing antiseptic action on skin. Apply a small quantity on the Foot. Massge gently for 2 to 3 minutes using circular motion & rinse it off. 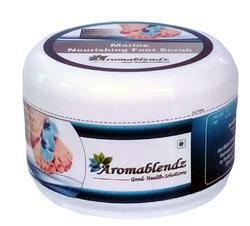 Looking for Aromablendz Foot Scrubs ?